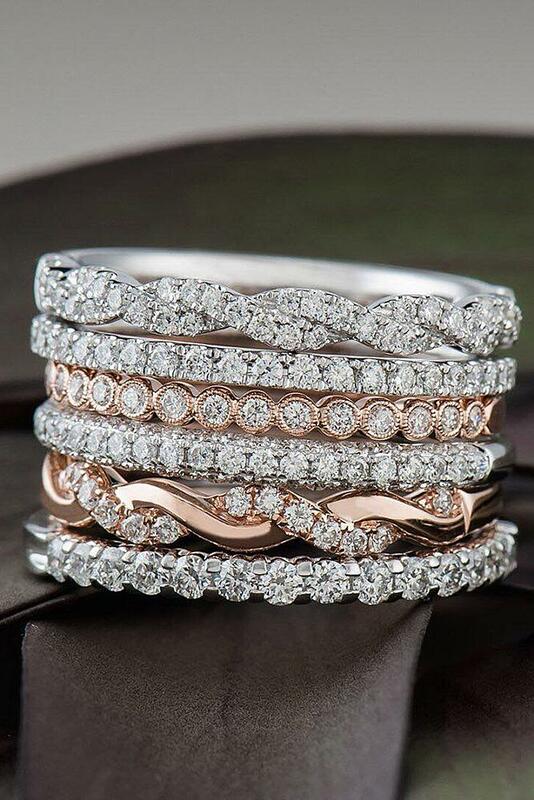 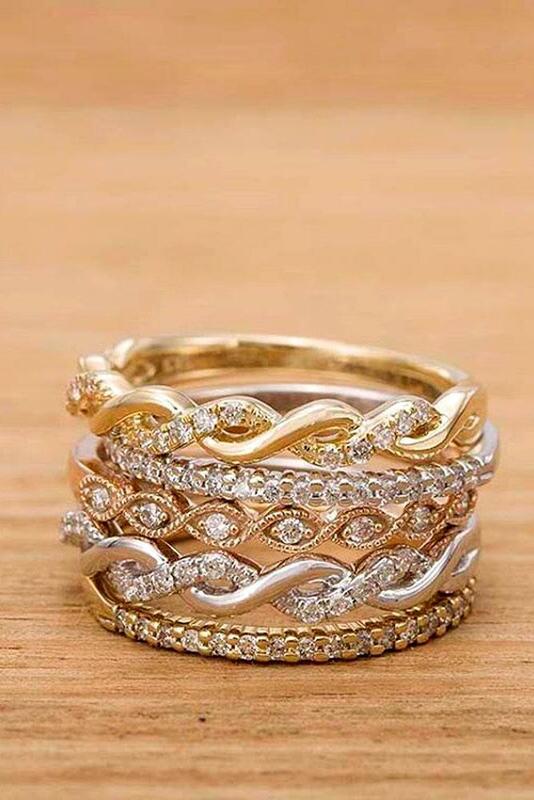 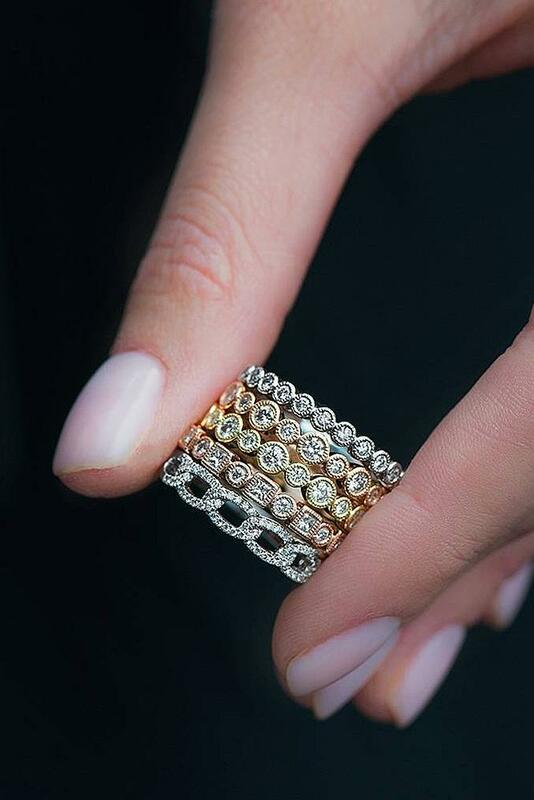 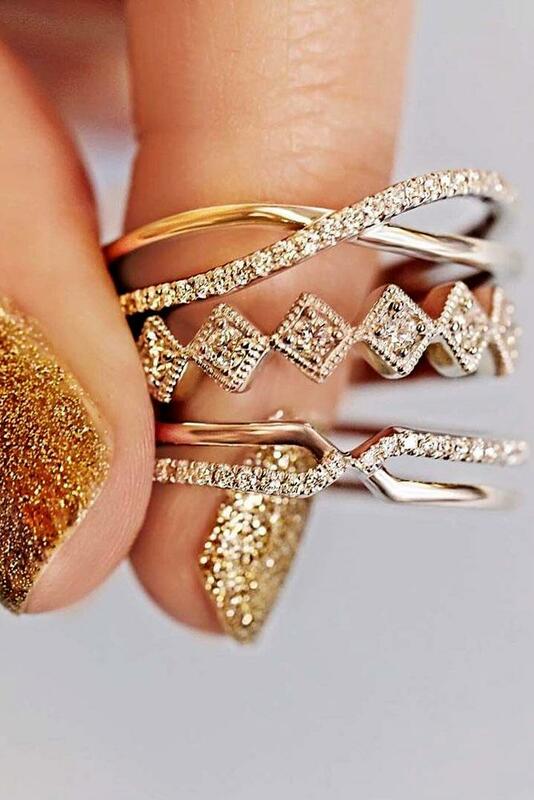 Stackable wedding rings set is a very popular trend in engagement rings fashion. 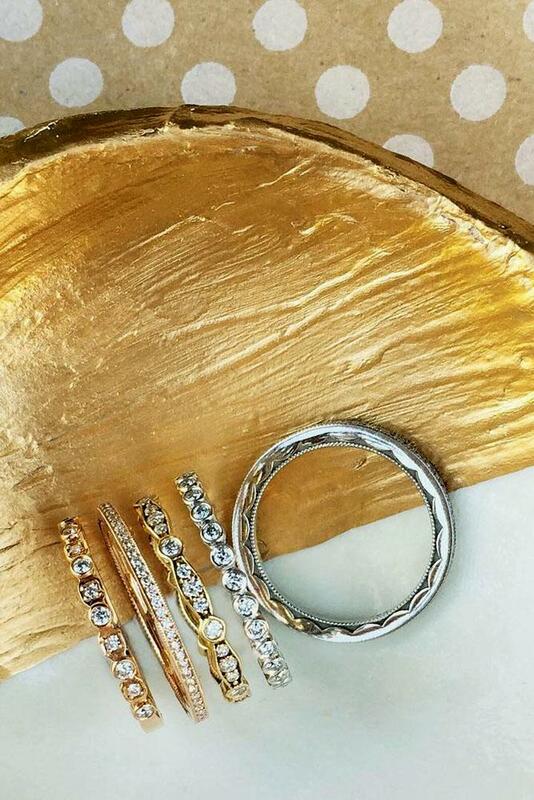 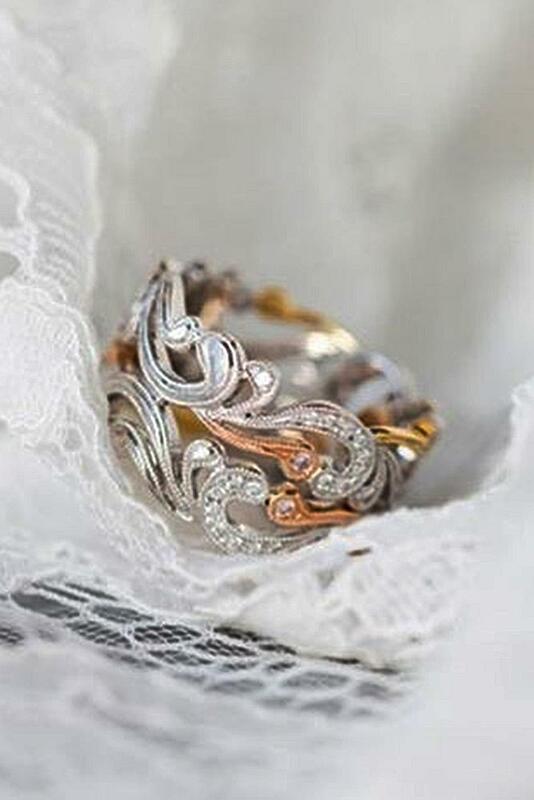 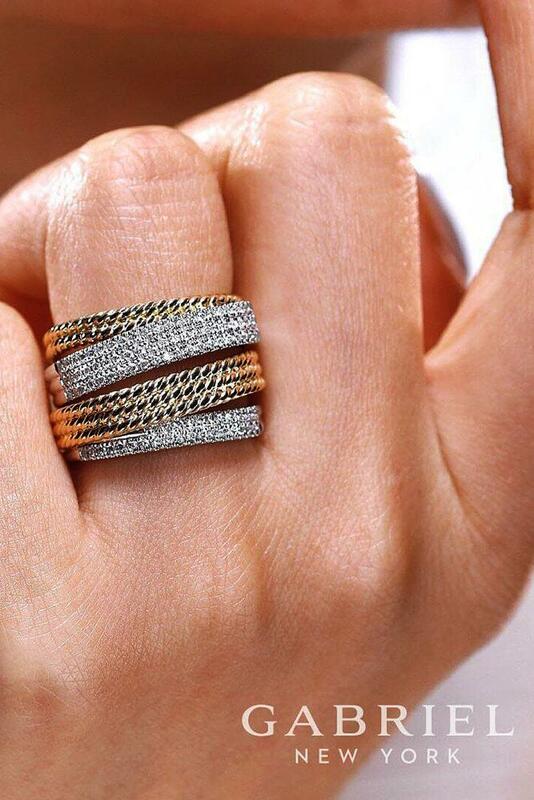 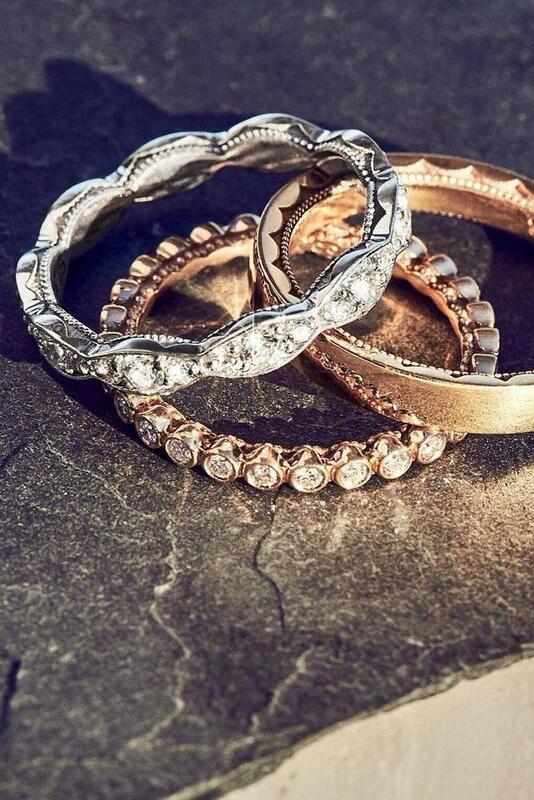 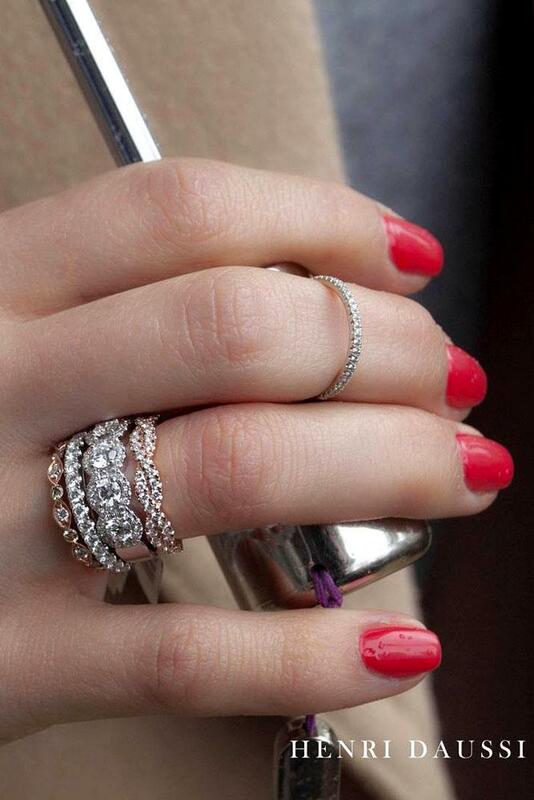 It is a set of wedding rings matched by style and composition, which complement each other. 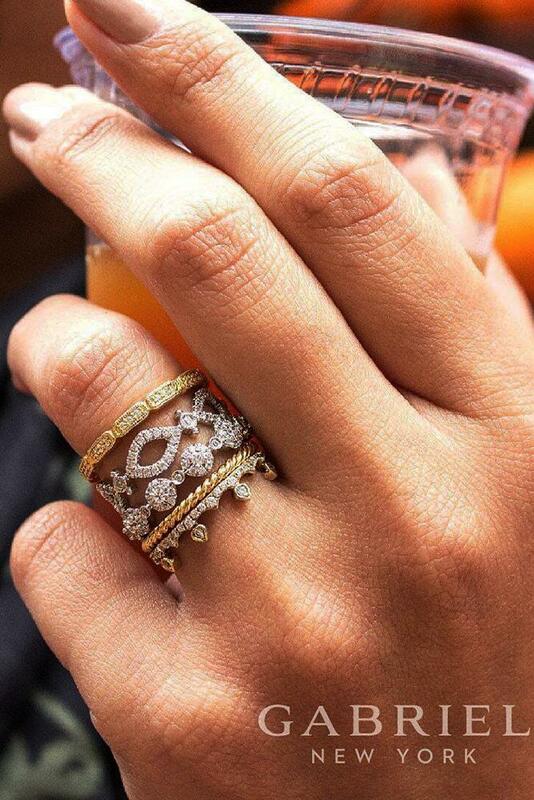 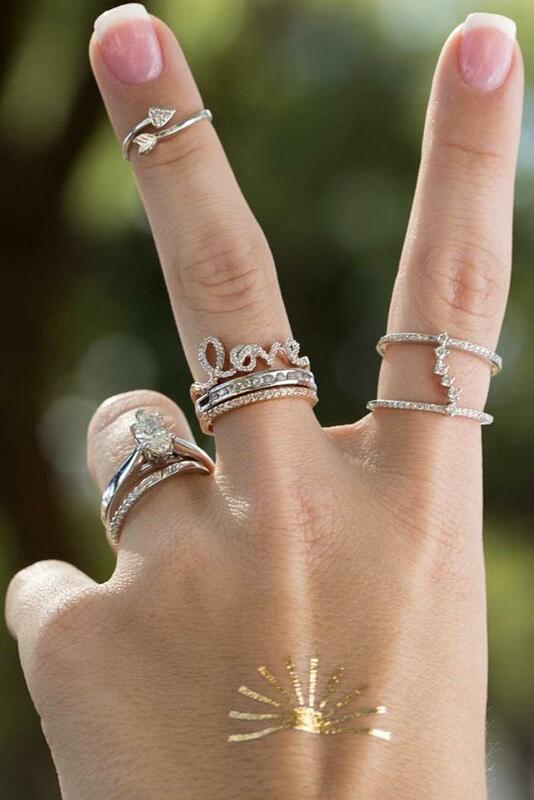 By the way, all these rings are worn together. 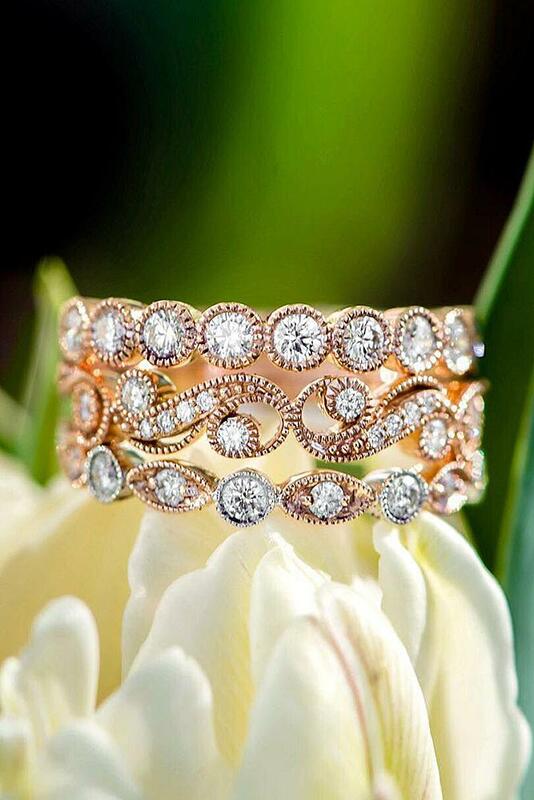 Each wedding ring designer has a distinctive style, the special manner in which customers recognize their creations. 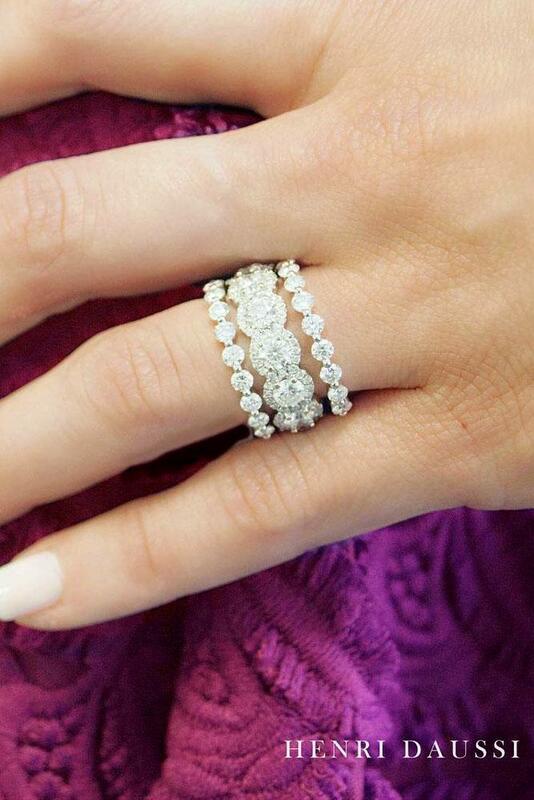 Also, we offer you a selection of engagement rings by famous world designers. 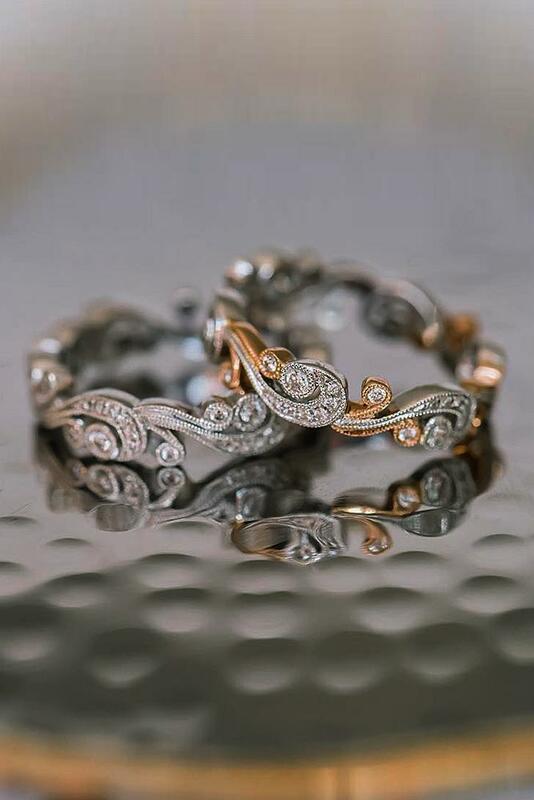 These are masterpieces of jewelry art. 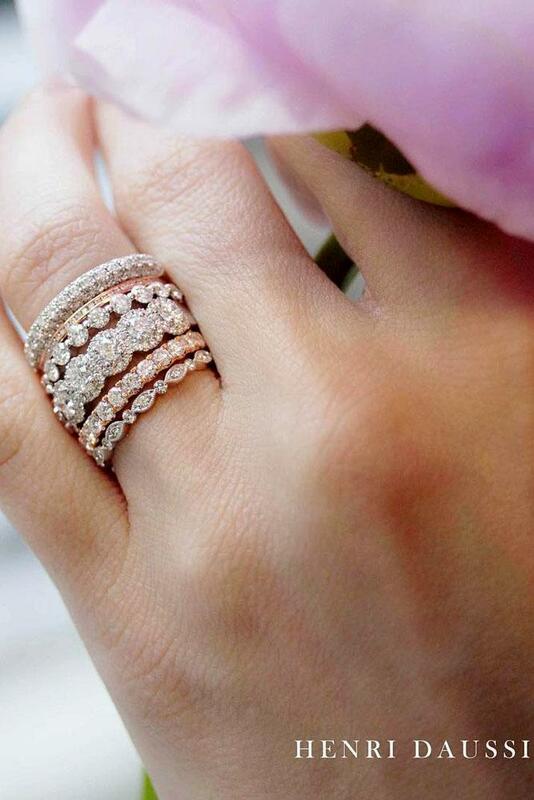 Browse our gallery and get some more inspiration. 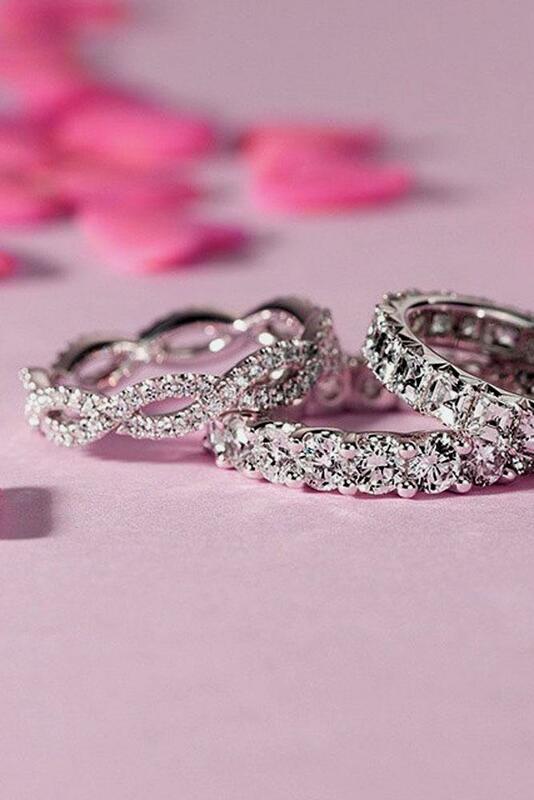 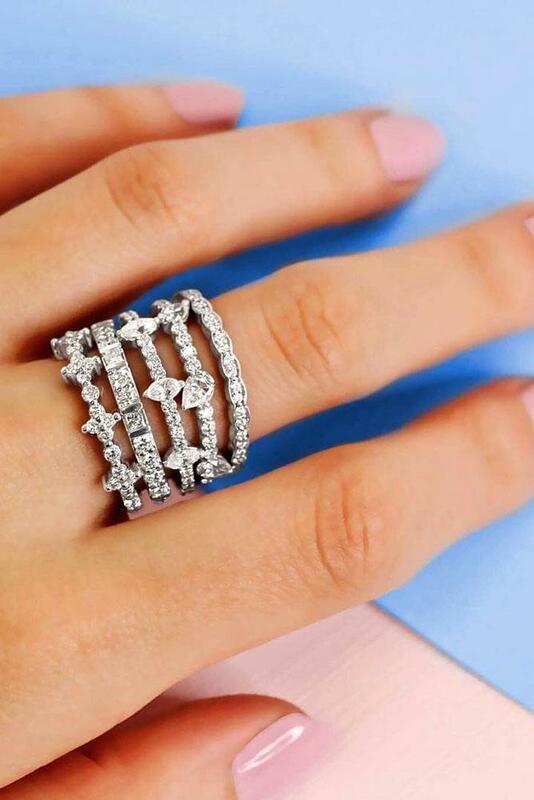 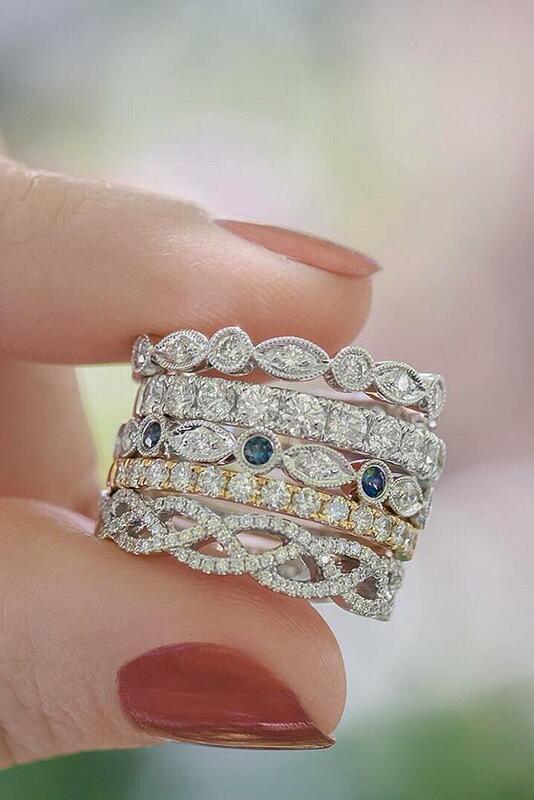 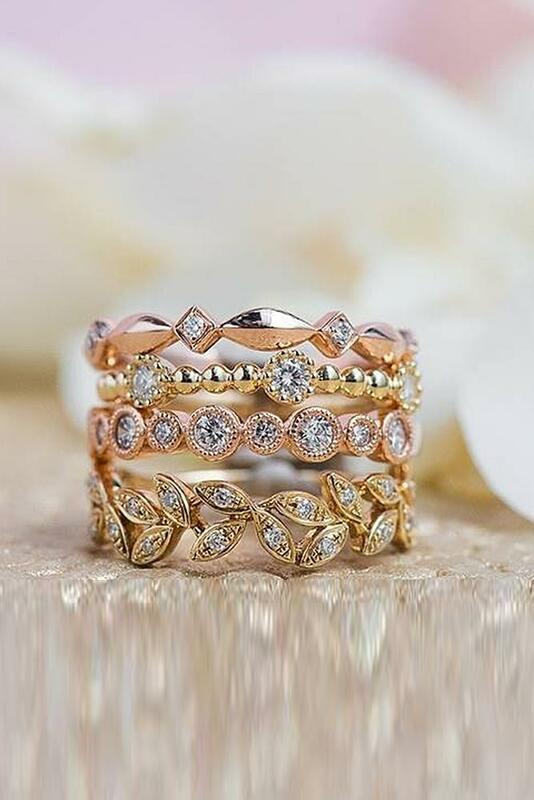 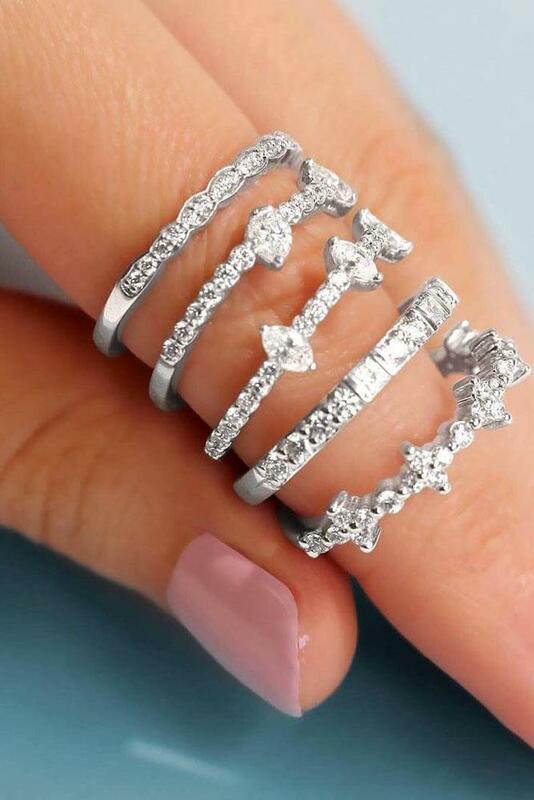 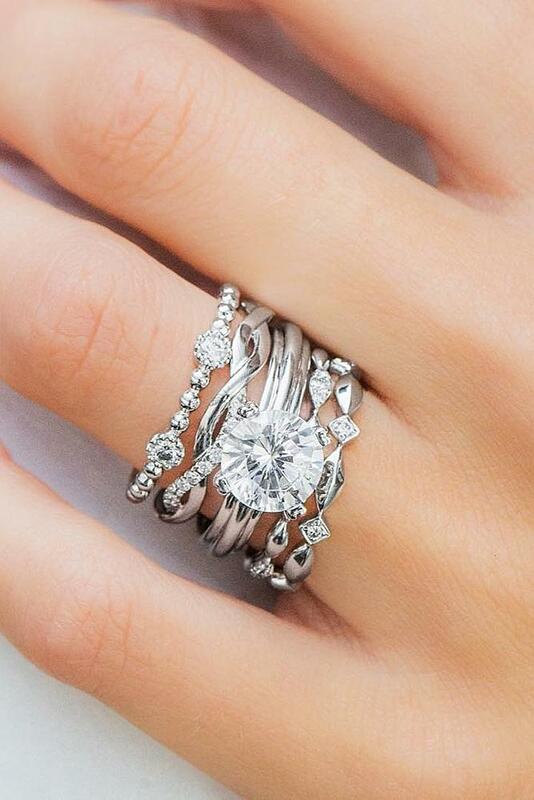 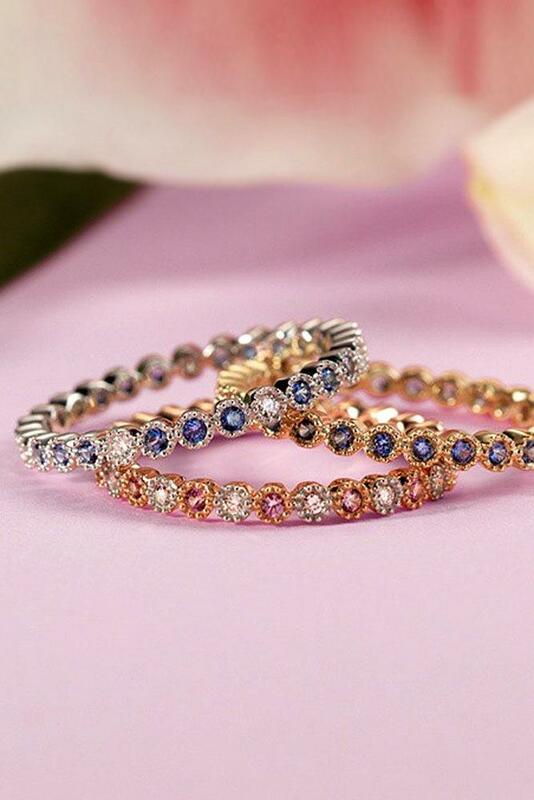 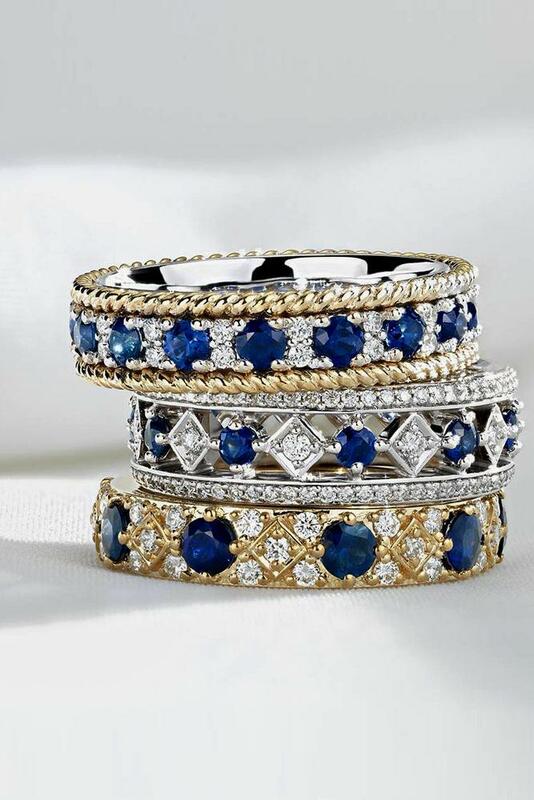 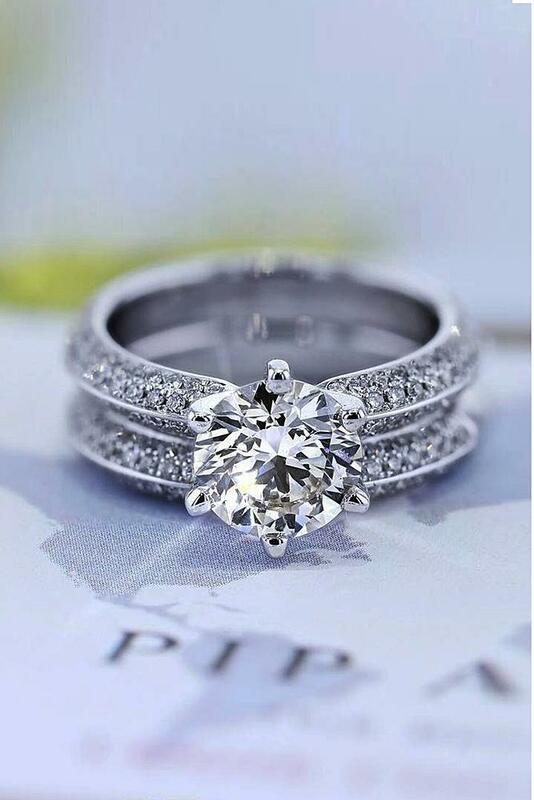 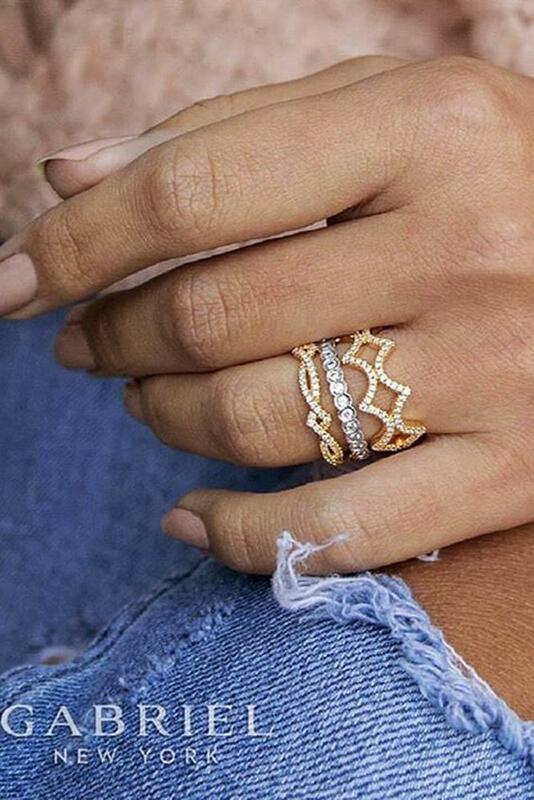 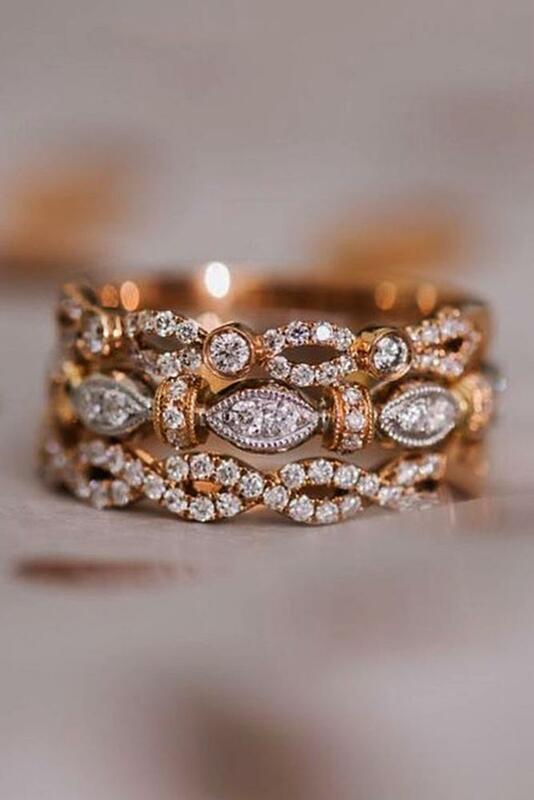 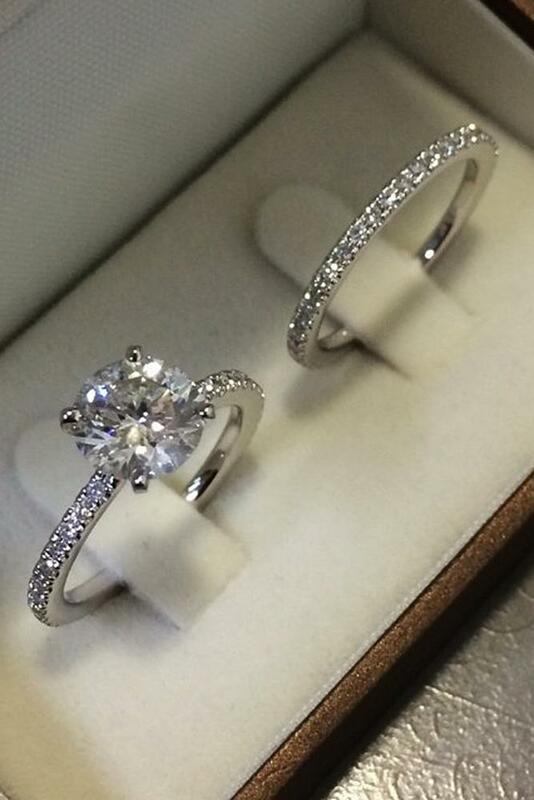 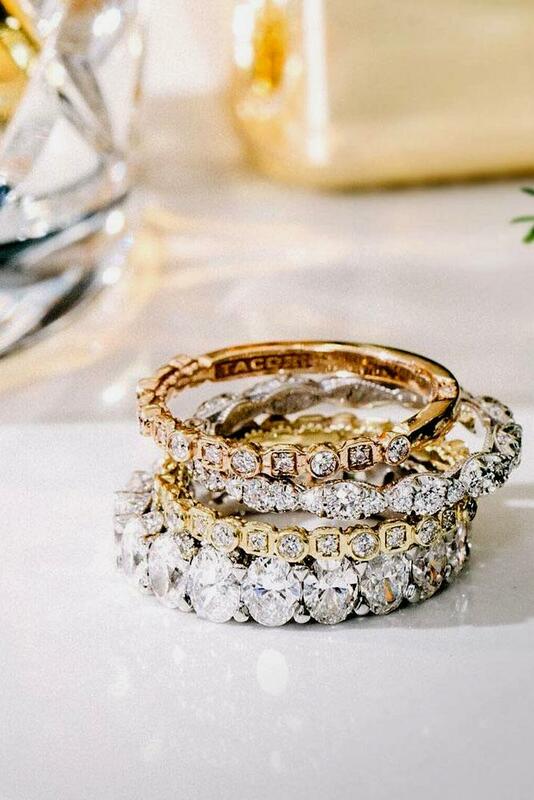 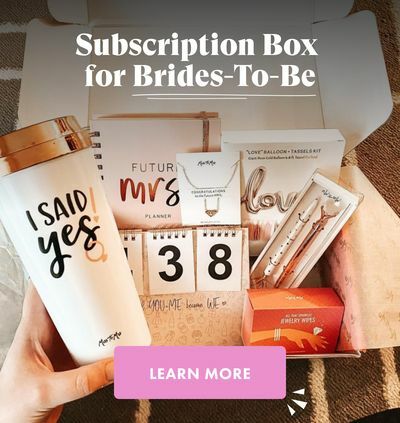 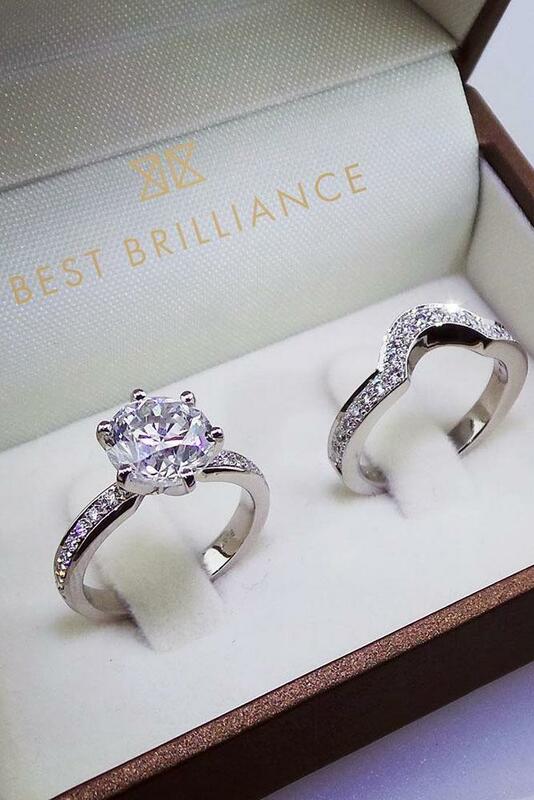 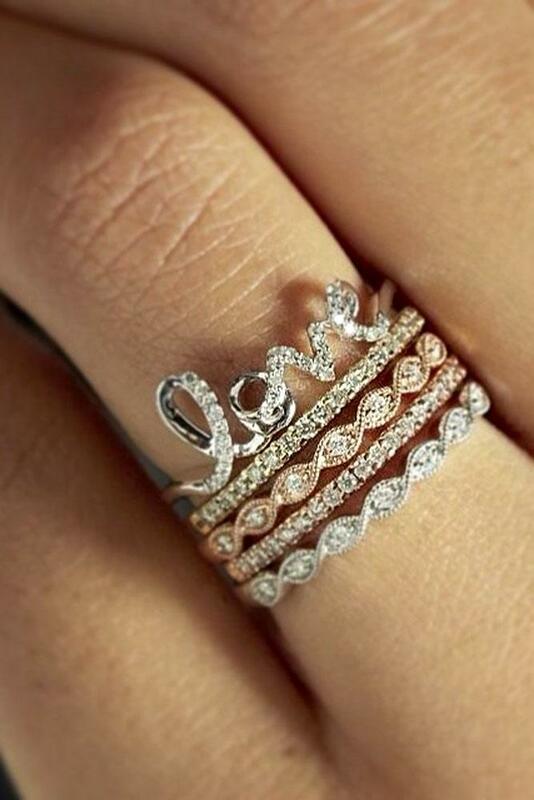 Perhaps engagement ring sets are exactly what you are looking for.